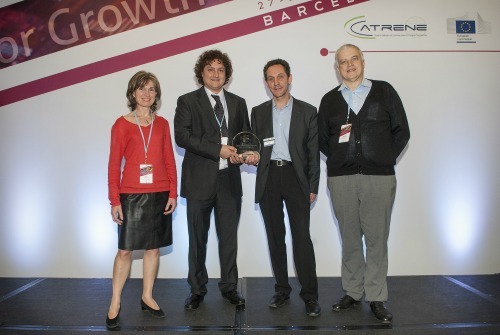 The Panama (Power Amplifiers and Antennas for Mobile Applications) project won the 2013 Innovation Award during the European Nanoelectronics Forum which took place on November 27 in Barcelona. Panama is a project by the teams of Télécom Bretagne (with Christian Person and Michel Ney) and Télécom ParisTech (in particular with Patricia Desgreys and Patrick Loumeau). The Panama project has put forward innovations relating to transmission systems and power amplifiers to improve their performance and productivity. Different types of systems have been studied for the following applications: 3G/4G cell phones, base stations for 3G/4G cell phones, avionics, communication via satellite and home networks. Beyond these systems, the project has used the development of innovative tools for characterization, modeling and simulation. Télécom Bretagne has been working in particular on the roll-out of antenna solutions integrated directly into Silicon, for very high-speed applications for 4G Smartphones and tablets @60Ghz. 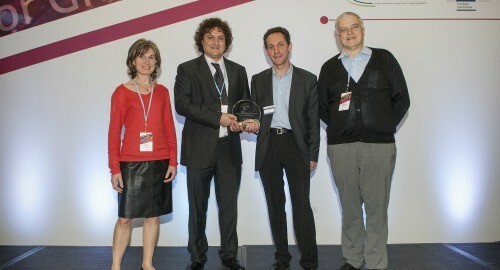 Télécom ParisTech has developed an innovative solution (patented) for the digital output signal of the power amplifier. This architecture followed by a digital processing of the appropriate signal increases the efficiency of the RF transmitters by 30% in the base stations. This innovation award is an acknowledgement from the European Union at the highest level in the micro and nanoelectronics sectors. Panama was selected as the most innovative of the 40 projects retained in the Catrene program, a European program which finances cooperation between research institutes, the semi-conductor industry and user businesses.